Social activism and dissent have become global phenomena for our times. Ordinary people across the world are fighting back. This newly potent political force has defeated governments in India and Spain, and has brought down the EU draft constitution. Disaffected by the triumph of markets, public goods, public interest and public spaces are regaining political ground. 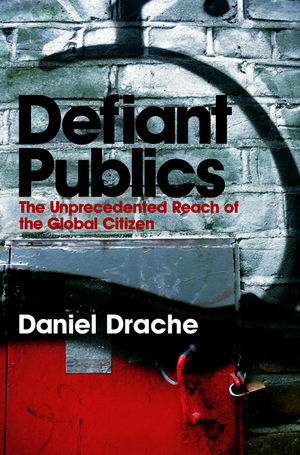 Daniel Drache argues that, feeding off distrust and suspicion of governments, and assisted by the new cultural flows of people, ideas and information, this is a political phenomenon without historical precedent. No-one owns the new public, elites remain baffled by its power and impact. No-one can contain its innovative, inclusive and rapidly evolving organizational style. No-one can determine when the current cycle of dissent will peak. This lively and engaging book is a must-read for anyone interested in the role of protesters and publics in contemporary politics. Daniel Drache is Director of the Robarts Centre for Canadian Studies and Professor of Political Science at York University, Toronto.